Wild, untouched, rugged…as the many islands of the Caribbean become more and more developed, these three words become less suitable to describe them. Luckily, Dominica remains an embodiment of all three (at least for now). 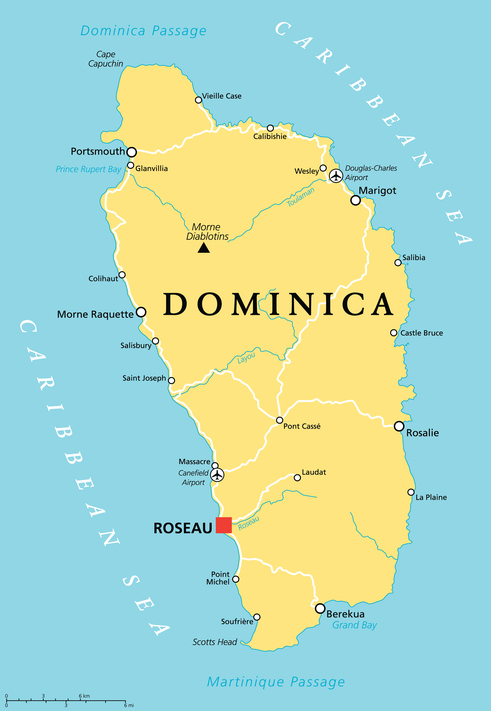 Dominica is part of the Windward Islands in the very eastern part of the Caribbean and West Indies. While it has no land borders (it’s an island after all), it is found south of Guadeloupe and north of Martinique. When is the best time visit Dominica? Winter (December to February) is the best time to visit the country – though you can stretch a visit into June without really having to worry about bad weather. Dominica is relatively crowd free but there may be other tourists at some points. How do I get around Dominica? Buses are cheap and, generally speaking, the best way for visitors to get around Dominica. Renting a car is a decent way to explore, though you should be very careful when driving. There is a well maintained loop around the island but many other roads are dangerous. English is the country’s official language so you will be able to get by with it throughout all of Dominica. You may hear other languages and dialects (some based off French), but English is pretty universally spoken. Where should I go in Dominica? 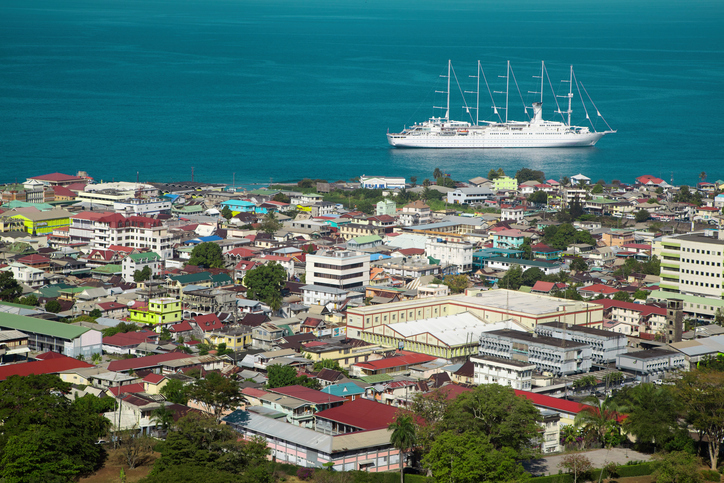 It might be exceedingly small when compared to other capital ‘cities’, but Roseau is still a thriving and vibrant coastal town. From the French colonial architecture to the music emanating from every street corner during the day, Roseau is full of life, charming, and beautiful in equal measure. There’s not a whole lot to do here at night, but we definitely recommend staying for a day at least before heading off into the interior. What does this small fishing village on the south coast offer that makes it one of Dominica’s main attractions? 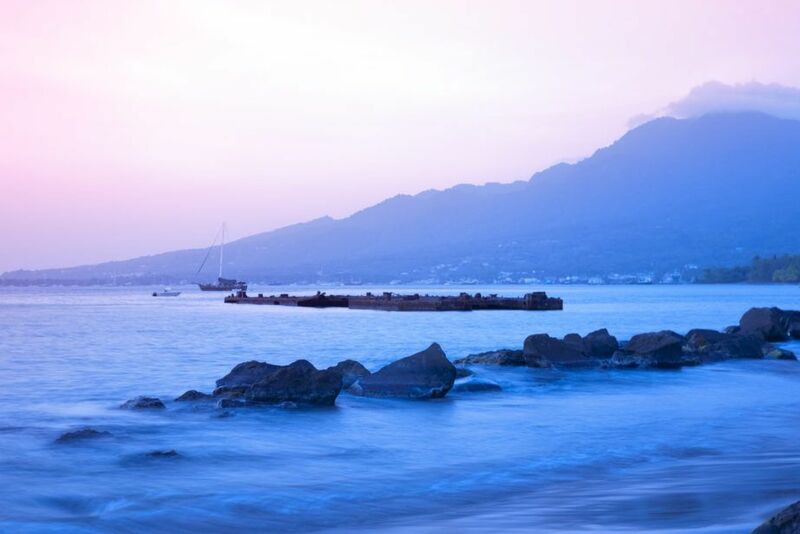 Well for one, the picturesque setting along Soufriere Bay is nothing if not spectacular. Secondly, the village (despite its small size) is lively with barbeque and bars in ample supply. Thirdly, the deep blue waters are home to some great diving and snorkeling for those who are qualified. Fourthly, Scotts Head is great for history buffs that want to learn a little more about the struggles of the French and British in Dominica hundreds of years ago. Fifthly…just go ahead and book your trip already! Dominica earns its reputation as the most wild and ‘nature-heavy’ of the many Caribbean islands. Nowhere is this more evident than Morne Trois Pitons National Park. 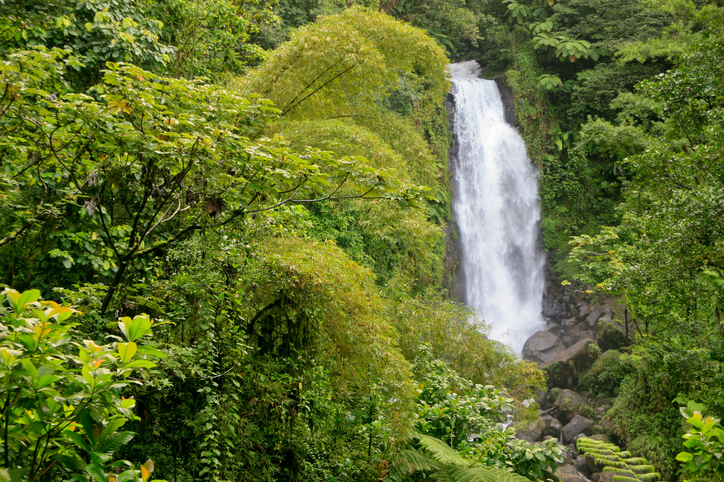 Though only founded in 1975, it’s the oldest national park in the country and is fortunate enough to be home to many of Dominica’s most impressive natural sights. You can make your own adventure by simply hiking amongst the many mountains, lakes, and forests…but read on to discover a few of the highlights. Note: At the time of writing (Nov 29, 2016), the lake is closed by order of the Government of Dominica because of temperature fluctuations. The immediate area should be avoided until this is changed. 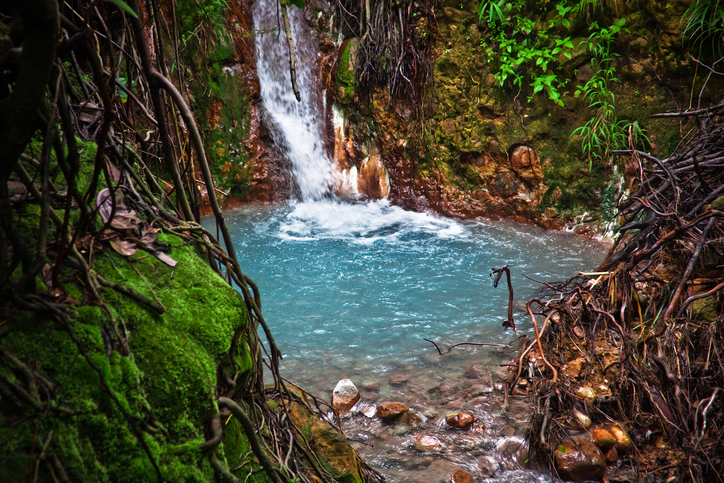 First and foremost, when visiting Morne Trois Pitons National Park you should budget time and effort to make it out to Boiling Lake – the world’s second largest hot spring. It’s not easy to reach this natural phenomenon, with a tough hike taking anywhere between three and six hours (one way). But if you have the fitness and time, you’ll be rewarded with one of the most unique attractions in the Caribbean. If you haven’t already figured out from the name, DO NOT swim here. While the long hike through Morne Trois Pitons National Park to reach Boiling Lake can be grueling, it will take you through the aptly named Valley of Desolation. 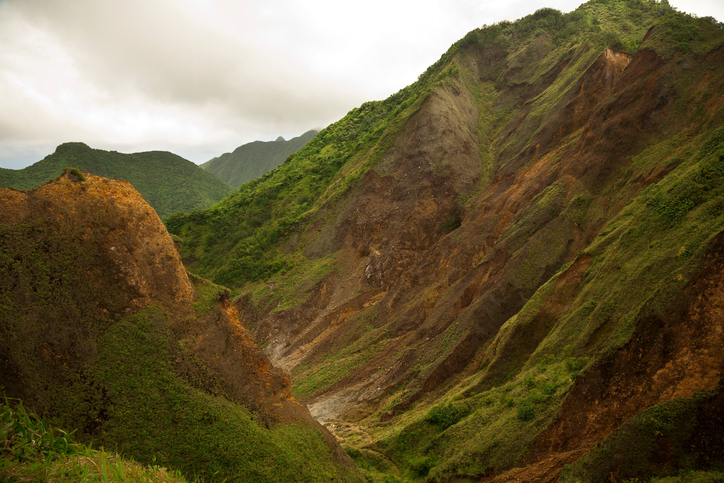 Representative of Dominica’s sometimes harsh, volcanic landscape, the valley is a barren yet fascinating place. 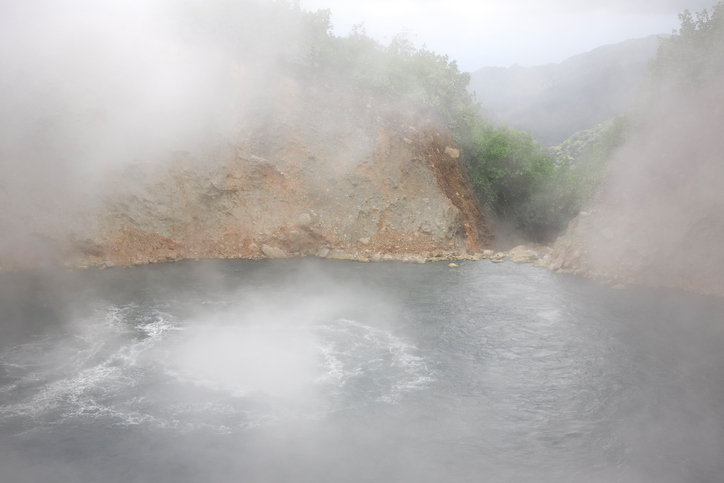 Bubbling mud, venting steam – all the hallmarks of volcanic activity (bar the rivers of lava) are here. As we mentioned, you’ll pass through here on your way to the Boiling Lake so you can kill two birds with one stone quite easily. Also found within the boundaries of the park are two amazing waterfalls – Trafalgar and Middleham. We recommend visiting both, however if we had to choose we think that Trafalgar just holds off the competition. Trafalgar Falls is relatively easy to visit and also features some small swimming holes and warm pools. Middleham is worth a look too, with a nice hike well worth the effort and the falls themselves suitably impressive. 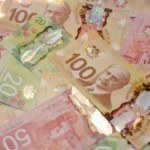 A round trip flight (with connections) between Toronto and Dominica costs around the $700 Canadian mark. These can be found for cheaper prices if you book early and do some shopping around. With a fairly undeveloped tourist infrastructure and many of the country’s prime attractions in pretty remote areas, Dominica can be a bit expensive if you want to get the most out of your trip. 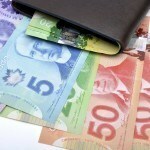 Average daily costs could end up around $220 Canadian a day. That being said, you can get daily costs below $100 or even lower if you tough it out and live on the rustic side a little. 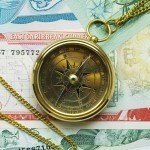 The higher end of travel will set you back closer to $423 a day however. Before we get into safety, we have to touch on the current health issue with regards to the Zika virus. Spread by mosquitos, the sickness is usually mild and short term, resulting in fever, headaches, rashes, muscle pain, and other flu-like symptoms. That being said, pregnant women (and women considering becoming pregnant) should avoid the country for the time being. Be sure to talk to a healthcare professional before deciding to travel to Dominica. Besides that, Dominica is a relatively safe country with no nationwide advisory and normal security precautions recommended throughout by the Canadian government. That being said, robberies and assaults have been reported. In addition, the roads can be dangerous so use caution if driving yourself. For much more in-depth information, check out the Canadian Travel Advisory for Dominica. You can learn more about the history and culture of Dominica in the Country Profile plus more about its currency with our Spotlight.